–noun, plural ducks, ( especially collectively for 1, 2 ) duck. 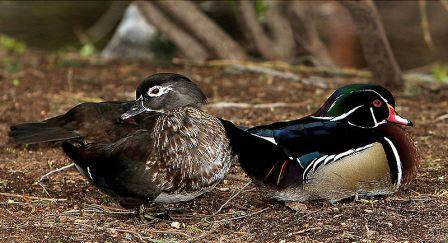 1. any of numerous wild or domesticated web-footed swimming birds of the family Anatidae, esp. of the genus Anas and allied genera, characterized by abroad, flat bill, short legs, and depressed body. 2. the female of this bird, as distinguished from the male. Compare drake1 . water off a duck’s back, something that has little or no effect: Our criticisms of his talk rolled off him like water off a duck’s back.